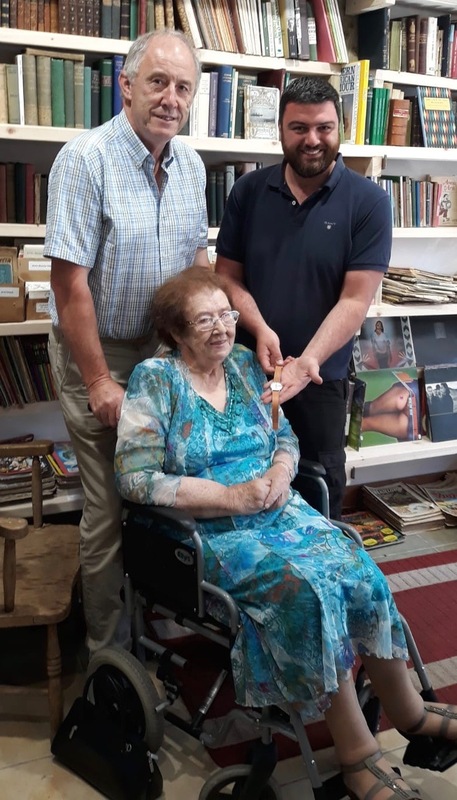 A VINTAGE watch, once owned by the late Peter Kinane, described as “a frugal farmer from Tipperary”, which was found by a Galway-based antiques dealer among the contents of items he bought from a County Clare pub, has been reunited with his relatives. 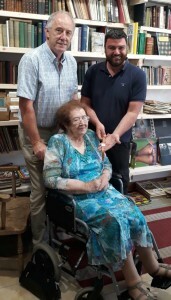 Philip, Sadie, Mairead and Mary Kinane, all members of the late Peter Kinane’s family, were presented with the watch by Dave McDermott, the proprietor of Athenry Antiques when they met recently at his shop in Athenry. Dave came across the Omega Dress watch which had “Peter Kinane, Kevinsfort” inscribed on the back earlier this year. After carrying out some research, he discovered that Mr Kinane had sadly passed away only a few months before the watch came into his possession. Dave immediately put out an appeal through the Dermot & Dave Show on Today FM for a member of Peter Kinane’s family to come forward to reclaim the timepiece and sure enough, thanks to the power of radio, it worked. To learn more about antiques or other collectible items, visit the brand new online shop at www.athenryantiques.ie or contact Dave McDermott at Athenry Antiques, Sheehan House, Church Street, Athenry, email dave@athenryantiques.ie.